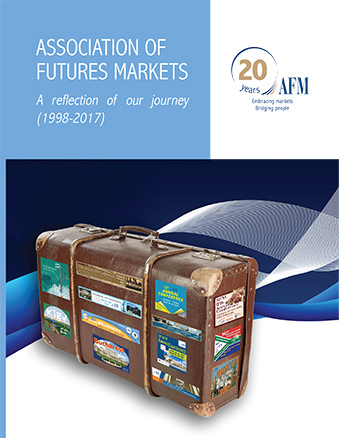 Argentina hosted the 20th anniversary conference of the Association of Futures Markets (AFM). This event, jointly organized by MATba and ROFEX, was held on March 9 and 10, 2017 at the Buenos Aires Grain Exchange and the Rosario Board of Trade, respectively. For two days, the cities of Buenos Aires and Rosario hosted futures industry specialists, officials and authorities from markets based around the world for discussions on the current state of the global market. The conference addressed a number of the issues faced by the industry including the development of futures markets in South America, technology applied to derivatives trading environments, Over-The-Counter trading, global trends and market integration. One of the main issues dealt with in the conference was the integration of MATba and ROFEX trading, which promises to set the basis for a significant growth of Argentine futures volume. In this respect, Viviana Ferrari, CEO MATba said that “cooperation and collaboration sometimes brings about better results than competence alone. This is also very valid in our case where brokers and clients look for liquid and efficient markets, without duplication of entry fees”. Markets such as Euronext, Johannesburg Stock Exchange (South Africa), Securities and Exchange Board of India, Belarusian Commodity Exchange, TAIFEX (Taiwan), SET (Thailand) and Nairobi Securities Exchange (Kenya) participated in this event, together with another 15 markets from around the world. Patrick Kenny, SVP of CQG Inc. foresees that a number of international ISVs are likely to seek entry to the Argentine Capital Market looking to take advantage of the changes that have opened this Market. Moreover, it is worth mentioning the participation of the Argentine National Securities Commission’s (CNV) President, Marcos Ayerra, who pointed out that efforts are being made to comply with international standards, especially EMIR and IOSCO recommendations, in order to attract EU investors. He also anticipated that the G20 meeting will be held in our country next year so that “we have to be in line with international regulations”. Both MATba president, Marcos Hermansson, and ROFEX president, Andrés Ponte, emphasized the importance of holding an event of this kind within the framework of change and development that the South American derivatives markets are experiencing. In this context, they referred to the interconnection between both institutions, through an agreement entered into on January 4, 2017, which was the main issue in many of the discussions, standing out as a model to replicate in other world markets. 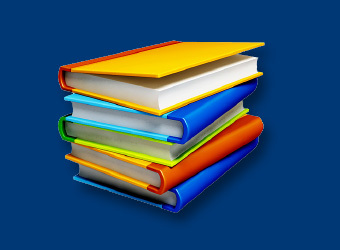 The AFM is an organization whose primary objective is to promote and encourage the establishment of new derivative and related markets and to organize international conferences in order to promote communication among members, to strengthen their relationships and to transfer information and experiences among them. AFM conferences are held in different places each year and AFM 2018 is planned to be held in Bangkok, Thailand. Within the framework of the 20th Annual Conference, Marcos Hermansson, MATba president and Ismael Caram, ROFEX deputy CEO, were appointed members of the AFM Board of Directors. Paul Constantinou, formerly with Trayport, was elected as AFM President for a 2 year period. The AFM Board of Directors lists Chris Sturgess, JSE (Chairman), Marcos Hermansson (MATba), Ismael Caram (ROFEX), Pat Kenny (CQG), Megain Widjaja (ICDX), Krisztina Kasza (AFM). The Supervisory Board lists Paul Constantinou (President), Dr. Len-Yu Liu (TAIFEX) and Károly Mátrai (KELER CCP Hungary). “A superbly organized event by our two hosts who really made this 20th AFM anniversary event extra special, thank you;” was the final message from the AFM Chairman, Chris Sturgess.